I have read countless quotes, excerpts, and lines of poetry that have inspired me. But, no line of poetry, no paragraph from a fiction piece, no “quote of the day” has ever resonated with me the way Richard Blanco’s poem, “América,” did. This poem discusses a Cuban family’s struggle with balancing, and accepting two cultures. I have a strong attachment to this idea because I often find myself in the same situation. I, like the characters in Blanco’s poem, am Hispanic. My mother was born in La Habana, Cuba, and my father in Fajardo, Puerto Rico. I was born in Jacksonville, as an American, but my parents raised me with their Hispanic customs. We celebrate Hispanic holidays like Three Kings Day and Hispanic Heritage Month the same way Americans celebrated Veterans Day, and Martin Luther King Jr. Day. But we never celebrated them both. It was either Veterans day, or Hispanic Heritage month. As I got older I began to reflect on my past and realized the significance in all of these differences. I began expressing interest in learning about my background as an American Citizen. I’d spend my entire childhood embracing the Hispanic side of me, so I never got the chance to explore the American. My family soon tried to adopt the beliefs. Simple things like having turkey on Thanksgiving, and putting American Flags on our lawn during Veterans Day. Studying American history and culture in so much detail that it became engrained within us in the same way Hispanic culture was. After this period of self-discovery, I realized that balancing both cultures was harder than I thought. My attempts, though genuine, did not feel natural. I could not be only Hispanic or American. I am a Hispanic American, and I’m allowed to be both. The cultural resonance and applicability of this poem gave me justification in my realization. Blanco expressed to me, with excruciatingly vivid detail that is hard to balance two cultures at once. That it is impossible to rid of my roots. But that it is possible, to learn to accept both cultures for what they are, and how they play a role in my life. This poem completely captivated me and gave me a sense of self-realization that I had never experienced before. Now, when someone asks me where I’m from, or what I am, I tell him or her, with pride, that I’m a Hispanic American. I embrace my roots and enlighten others about my Hispanic and American heritage, rather than hide it. I now celebrate all holidays not just “the Hispanic way” or “the American way” but both ways. I wear red white and blue to display pride for America, and also for Cuba and Puerto Rico as well. 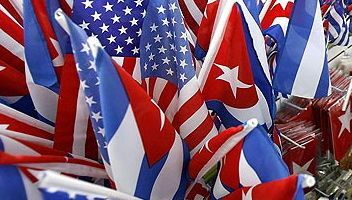 Cuba, Puerto Rico, and America all share the same colors on the flag, and I share all the same colors in the complex, layered concept of my identity.